I don't like the standard Brompton handlebar. They are to short and to flexible. They are so short that I had to cut of a considerable amount of the right grip to fit the brake lever and the shifter. Not an ideal situation. The S Type is to low for me. 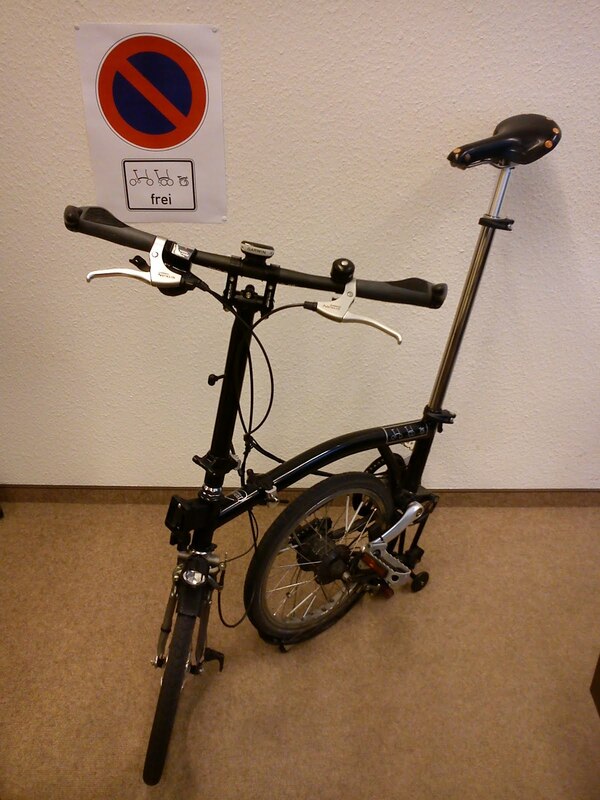 One of the users in the German Bromptonauten forum posted an image of his modification. 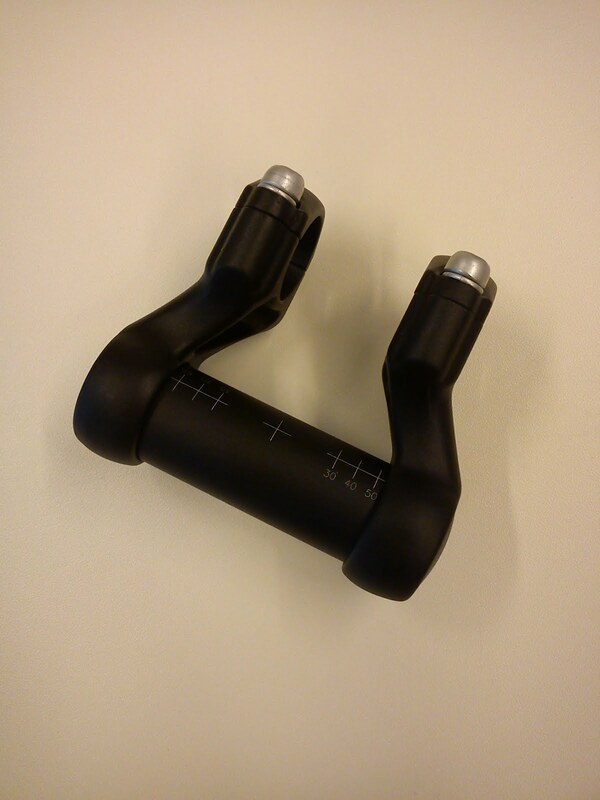 An M Type stem with a stem adapter raising a standard flat handlebar. So I replaced the M Type stem on my Brompton with an H Type. It is 6cm higher, but the hinge is higher, too. I tested three stem adapters. The major disadvantage of the TranzX adapter are the clamps above the handle bar. 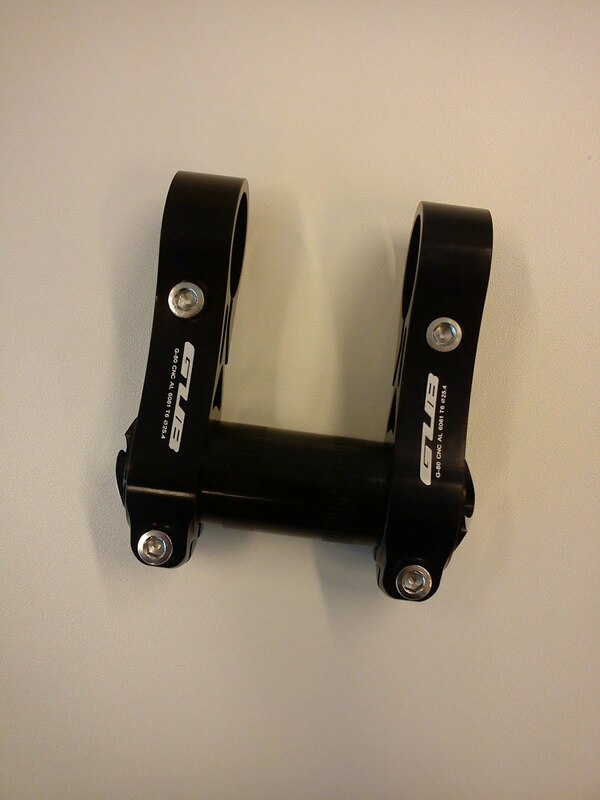 The GUB adapter is similiar but the clamps are at the bottom and smaller. 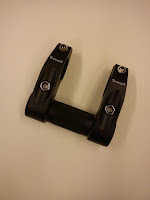 The Aberhallo adapter has a different design - it is the most flexible. TranxZ and Aberhallo use plastic barends, but the GUB has threaded aluminium barends, providing a small storage space. For now I am using the GUB G-80. The 5mm more make a difference (no conflict with the mudguard stay) and I like the look of the bands at the handle bar. The handle bar is 1 meter from the ground and 8 cm lower then the saddle. Necesito conseguir este accesorio (SATORI ABERHALLO) para mi bicicleta. Thomas Weinert. Awesome Inc. theme. Powered by Blogger.